Like any kind of business, e-commerce businesses are most successful when they make informed, strategic decisions. In order to make informed decisions, an e-commerce business needs to know how their store is performing, and what areas need to be improved. That’s where metrics and KPIs come in. Tracking key metrics and KPIs is essential for any e-commerce store to identify strengths, weaknesses, and opportunities, in order to drive sales, revenue and to meet their business goals. We’ve already written about the tools which can help you to build your e-commerce business on Amazon in our review of the 43 best Amazon FBA seller software tools on the market. 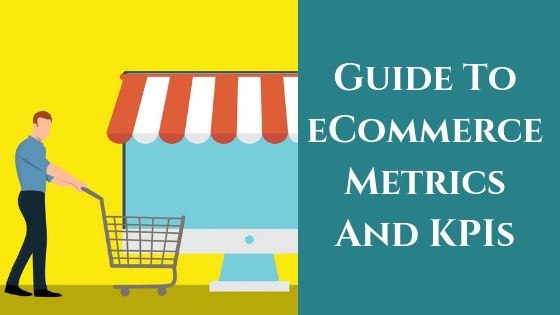 In this post, we will dive deeper into e-commerce metrics and KPIs, and how you can measure, track and improve them, in order to increase sales and improve the ROI of your Amazon or e-commerce store. What Are The Key Metrics For E-commerce? 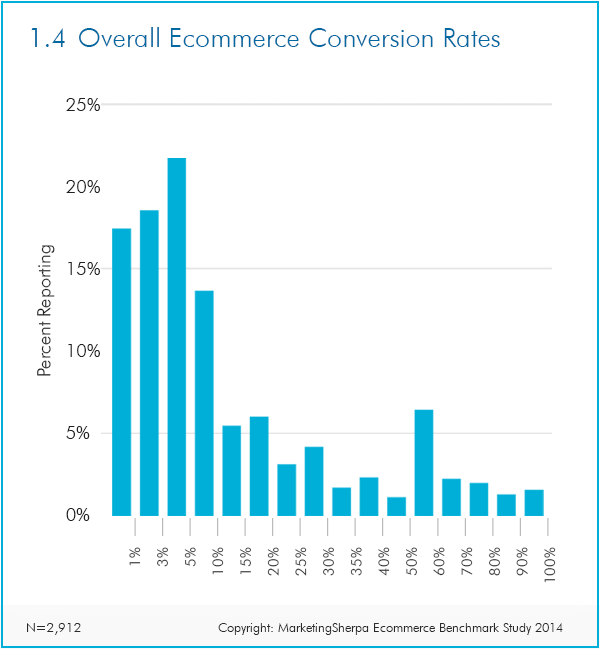 Sales conversion rate is arguably the most important ecommerce marketing metric. Sales conversion rate is, in a nutshell, what proportion of the visitors to your store are converted to actual sales (that is, how many make a purchase). In Amazon, this is essentially the ratio of items purchased to product views. This is so important because if you do not have a strong conversion rate, you can spend a lot of resources driving traffic to your store for a very little payoff. On the other hand, if you have a strong conversion rate, every visitor you bring to your site is more likely to result in a sale, and add to your bottom line. What kind of conversation rates should you be aiming for? 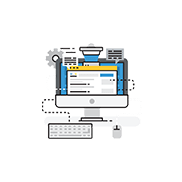 According to Marketing Sherpa, in 2014 the majority of e-commerce businesses had conversion rates of less than 10%, with over 50% of business having sales conversion rates of 0 – 5%. 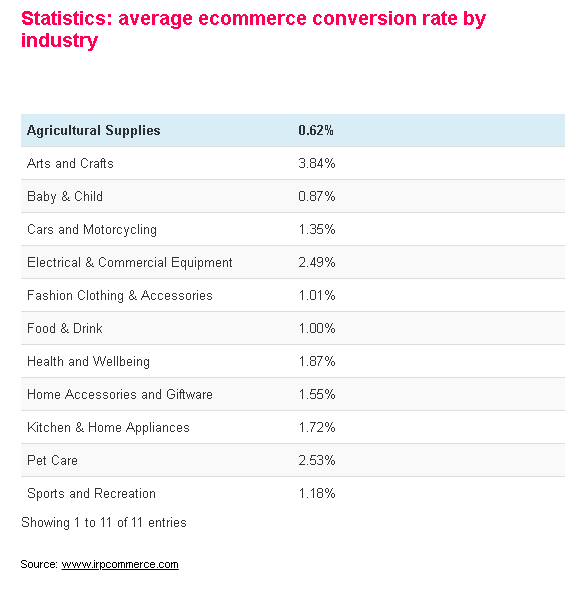 More recent figures of e-commerce sales results by industry indicate similar numbers, with the Arts and Crafts having the highest average conversion rate at 3.84%, and all other industries having average conversion rates between 0-3%. This figures can give you some guidance in setting your sales conversions KPIs, taking into account other factors including the type of products you sell, and your past business performance. If you are using an e-commerce platform like Amazon, you can track traffic stats for your site through their site. Then use your sales records to determine the conversion rate. Tools like Google Analytics will also track sales conversion rates for you if you integrate them on your store’s website. To do this with Google Analytics, add the Google Analytics tracking code into the head section of all pages of your site, your shopping cart, and the order confirmation page. Once you enable eCommerce reporting on your Google Analytics account, you will be able to get data on what proportion of visitors were converted to sales. Increasing your sales conversion rate is arguably one of the two major parts of building a successful e-commerce business, along with bringing traffic to your store through techniques like maximizing product rankings. Amazon SEO uses marketing and SEO strategies to help sellers earn more through Amazon. On our Case Study page, you will find a small sample of clients we helped to exponentially improve their e-commerce business. NOTE: Always keep statistical significance in mind when considering metrics. Statistical significance is essentially whether you can be certain that the results you have are directly related to what you are measuring (and not due to random chance or some other factor). You can improve statistical significance, and therefore be more confident in your data, by testing as much data as possible, as small data sample sizes can be unreliable. Depending on the size of your business, and the metrics you are measuring, it may not always be possible to test a large sample size. This can still be valuable to do, however it is worth keeping this in mind if making decisions based on the results: it is usually unwise to make an important decision based on data of poor statistic significance (eg if you only have a small sample size). 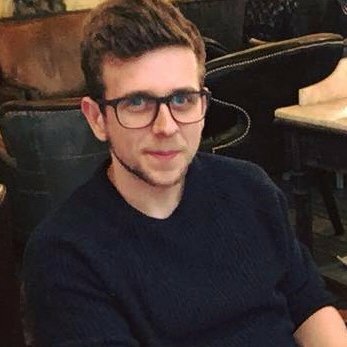 How do people find your store or your products? Are visitors more likely to be converted to sales when they have originated from a particular source? Knowing where your money comes from means you not only have a better understanding of your customer base, but you understand which types of traffic generation are most likely to translate into actual sales. This will help you to know where you should focus your efforts on promoting your store and driving traffic, and guide your marketing strategy. Focusing on driving traffic which you know is more likely to bring in actual sales means you will be able to drive more traffic (because you are honing and focusing your resources) and boost conversion rates, meaning more revenue and higher ROI! You can track revenue by traffic source through Google Analytics. You can also gather traffic source data through customer surveys, such as introducing a “how did you hear about us” question either as part of your order process or in review/feedback stages. Customer acquisition cost is the metric which measures how much it costs you to secure each customer, on average. If you are spending a huge amount on bringing customers to your site, but not converting many to actual purchases (or if the values of those purchases are low), your customer acquisition cost will be very high. If it is costing you so much that to bring in customers that you are essentially cancelling out your revenue, it is time to review your marketing strategies and perhaps even your business model! You can also use revenue by traffic source metrics to work out more specific customer acquisition costs for each channel or platform you are using to drive business. Although there are many factors involved including business overheads and customer lifetime value (see below), in a simple business model you could aim for customer acquisition cost to be lower than the average value of your orders. If you are finding that your customer acquisition cost is too high, there are many factors you can look at to improve this metric, both in areas of digital marketing and organic rankings, as well as improving your conversion rates. Customer lifetime value is the total amount you will earn from a customer in the course of your relationship with them (their lifetime as far as you are concerned). Customer lifetime value can be quite difficult to calculate, but this handy online calculator can help you estimate customer lifetime value for your business. This can be a more accurate basis for assessing your marketing costs, rather than simply looking at customer acquisition costs to be lower than each sale. Depending on your business, you may choose to spend more on customer acquisition than you will earn from one sale, as you anticipate much higher earnings over time thanks to repeat business. To ensure business success and a profitable ROI, you want to make sure that your customer lifetime value is higher than customer acquisition cost. Increasing customer lifetime value can be achieved by improving repeat business rates, as well as increasing average order values – both of which are key metrics which we will discuss below. As you can probably work out, the average order value is the amount or value of your average sale. Increasing average order values is important as it means higher revenue and better ROI. It also positively impacts other metrics such as average acquisition cost and customer lifetime value. NOTE: What is the difference between a Metric and a KPI? Metrics and KPIs both contain information about the performance of your business, and both are critical in tracking how your store is progressing and driving business growth. The terms are sometimes used interchangeably, however there are some differences. The key difference is that KPIs relate to goals and objectives that you set for your business, whereas metrics provide information that you can use to set such goals and objectives. 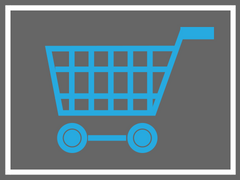 The shopping cart abandonment rate is the number of customers who start to make a purchase but bail out before they complete the transaction. Making sure shoppers complete the final stage of the transaction is a crucial part of improving your conversion rate, and ultimately your bottom line. Reportedly, 68% of ecommerce visitors abandon their cart at some part of the process, so it’s important to know how your store fares in this regard. 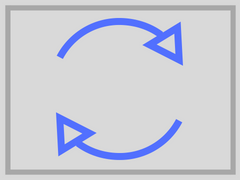 There can be many reasons why customers abandon their cart, some within, and others outside of your control. The Customer Retention Rate is the proportion of customers who return to you for repeat business. This is an important metric to manage as repeat business can be highly profitable and requires very little (or no) investment compared to acquiring new customers. A strong customer retention rate will greatly boost your customer lifetime value, mitigating customer acquisition costs. To be successful in customer retention, it is critical to build strong relationships with your customers, and therefore make sure they keep coming back. Offering excellent customer service is one way to do this, as well as using techniques like a regular newsletter and offline events to build up a strong, loyal customer base. You can introduce special offers such as exclusive discounts or gift certificates for existing customers to encourage them to keep coming back. This approach can also be formalised into a customer loyalty program. 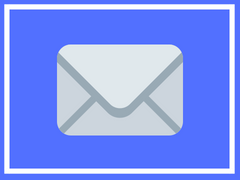 Having customers opt-in to your mailing list is incredibly useful to driv e marketing and secure repeat business. Email lists are a great way for you to drive traffic to your site under your control, as well as being one of the most cost-effective marketing techniques. However, an email list is only as strong as the number of email addresses it contains, therefore it is important to have as many opt-ins as possible, whether from sales or even visitors who do not buy anything. Depending on the email marketing tool you are using, you may be able to track opt-ins (and, importantly, where they came from) through the platform’s built-in analytics. Google Analytics can also track opt-ins from your Order Confirmation page. Net Protection Score is a metric used to measure customer satisfaction. This is the question that has long been used by businesses to judge customer satisfaction as it gives a very clear picture of how satisfied they are with your product and your service. Obviously, you want to aim for as many Promoters as possible. Net promoter scores can be tracked manually be conducting your own customer surveys, for example via email, or through tools like Customer.guru or Promoter.io. Contact your detractors and passives and ask them for feedback on their low score, and if there is anything you can do to rectify the situation. You may be able to turn the situation around and secure a loyal customer after all. Contact your promoters and thank them for their support. This is a great way to build (more) customer loyalty. 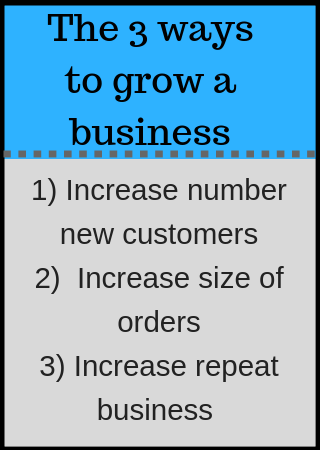 Essentially there are three ways to grow a business: increase your customer base, increase the average order size or increase the number of repeat purchases. The metrics covered here directly or indirectly relate to these things, and cover all three, to grow your revenue, grow your business and put ROI through the roof! The most important e-commerce marketing metrics are things which you should be constantly checking and evaluating. Keeping track of your business’ key e-commerce KPIs will help you to address any weaknesses, ensure better ROI and drive business growth. Amazon SEO Consultant offers comprehensive consultancy services to help companies grow their e-commerce business. View our case studies to learn more about how we’ve used our Amazon marketing & SEO strategies to help over 100 sellers earn more through Amazon!